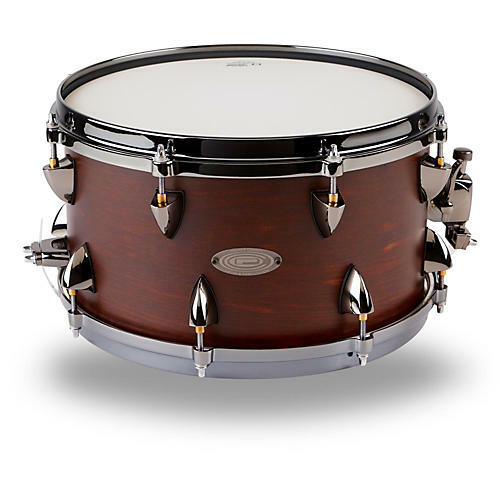 This Orange County Drums and Percussion Snare Drum offers a shell that is comprised of inner plies of maple and an exterior veneer of ash. The 6-ply shell produces round and full tone, punchy attack and balanced resonance. Offset lugs and black nickel plating give the hardware a unique look, while diecast hoops can take the best rimshots you can dish out. Snare size: 13" x 7"